In the world of tournament poker the way players are perceived is based, for better or worse, on their tournament resumés. 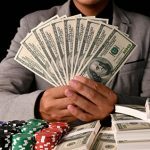 If you’ve cashed for the minimum in a few tournaments over a long span of time and people don’t know you as a cash-game player, you’ll probably be written off. If you’ve played for years with a few deep runs here and there and you finally score a major victory, you might be seen as a grinder who finally got his due. If you’ve never won big but you’ve made a lot of final tables, you might be considered someone who can’t finish. If you win but your tournament resumé is essentially blank, the question becomes even more complicated. You could just be a fish who got lucky; there are plenty of winners who rely more on luck than skill and never make it back to a major stage. Or you could be a real player, the kind of guy who’s going to be taking everyone’s money for years to come. There are far fewer people in this category, which makes them stand out from the crowd. Elite members of this group come along every once in a while and tend to make their presence known in short order. From the Department of Next Big Things, here’s a look at five players who made very big first impressions. In 1979, 22-year-old Stu Ungar was already thoroughly dominating the competition in his game of choice – but that game wasn’t poker. It was gin, and Ungar was so much better than the other players that tournament organizers asked him not to play anymore. A meeting with poker player Danny Robison, and Robison’s best friend Chip Reese, drew Ungar into high-stakes poker cash games. He quickly became known in Vegas for his utter fearlessness and preternatural card-playing ability. By 1980 Ungar was ready to move from cash games to tournament and take on the World Series of Poker. Unleashing the abilities that served him so well at the cash tables, he carved up the competition. First he announced his arrival with a 2nd-place finish in the $5,000 Seven Card Stud event. Then he made his mark on poker by defeating two-time champion Doyle Brunson in the Main Event, becoming the youngest player ever to win that prestigious tournament. Ungar came back in the spring of 1981 and outdid his previous year’s accomplishments, winning the $10,000 No-Limit Deuce-to-Seven Draw bracelet and then following that up by conquering the Main Event for the second year in a row. In the space of just 13 months, the 24-year-old kid from New York had already established himself as one of poker’s all-time greats. In the early months of 2008, Jason Mercier was grinding out Supernova status on PokerStars by playing 12 tables of $1/$2 NLHE at a time. One of the perks of that status was free entry into a few big land-based tournaments. The second one of those ended up being a life-changer for the former Florida high school basketball standout, as he turned it into $1.1 million with a win at the EPT San Remo. Mercier took to the circuit and enjoyed modest success at first, cashing in three WSOP events and a weekly Bellagio tournament. But in August his return to Europe was rewarded with a 6th-place finish at EPT Barcelona for another $324K. 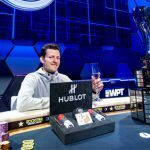 Before the year was done he had made the final table of a WSOP Europe Pot-Limit Omaha event and won the EPT London High Roller event for another $944K. All told his debut year earned him $2.75 million. 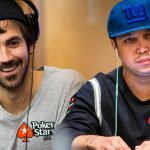 In a sense, Mercier’s splashy debut never ended – he has won more than $7.68 million, including seven figures in each year of his four-year tournament poker career. He has added two WSOP bracelets and three more final tables to his record since 2008, and he was named the Bluff Magazine Player of the Year for 2009. His consistent excellence has made him a fixture at the top of the poker power rankings virtually since his EPT San Remo win. Playing under the screen name “kingsofcards,” Tom Marchese had already won more than $350K playing online poker tournaments before the start of 2010. A transition to live tournaments made his budding professional poker career far, far more lucrative. Marchese got started in his home state of New Jersey, taking 3rd place in the championship event of the Borgata Winter Open for $190K. Three weeks later he made his big splash, winning the first North American Poker Tour main event at the Venetian in Las Vegas for $827K. By the time the WSOP rolled around in May he had added another $443K to his already impressive winnings thanks to a Wynn Classic final table, an EPT Grand Final High Roller final table, and a cash at the WPT Bay 101 Shooting Star main event. From there the 21-year-old just kept rolling. A cash in the $5,000 Six-Max NLHE event and a Pot Limit Hold’em Championship final table appearance made his WSOP debut a success, and he made his mark on the EPT with a final table in London. 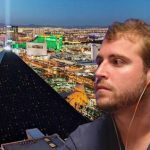 He made the TV table at the Foxwoods World Poker Finals in October, cashed in the main event and bounty shootout at the NAPT Los Angeles in November, and closed out the year by winning a side event at the Bellagio in December. All told his 2010 winnings totaled $2.11 million. On top of that he won the Card Player Player of the Year award and finished second for the Bluff POY award. Not a bad way to start a career! 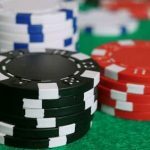 A Duke University-educated derivatives trader for BNP Paribas, Andy Frankenberger decided in 2010 to leave his job and give poker a try while he figured out what he wanted to do next. He got a taste of success in Atlantic City tournaments at Borgata and Caesars Palace during the winter before heading to Las Vegas for the WSOP. He managed a cash in the always tough $5,000 NLHE event, but it was at the Venetian that he first began to get attention when he won a $2,000 Deep Stack Extravaganza event for $162K. His bankroll newly flush, Frankenberger again moved west in August for the WPT Legends of Poker at Bicycle Casino in Los Angeles. That turned out to be an excellent decision, as he won the tournament and its $750,000 top prize. Two months later he made the final table of a WPT main event at Bellagio, finishing 5th, and another two months after that a 16th-place finish at another WPT event at Bellagio gave him enough points to eventually become the WPT Player of the Year. With the addition of a 6th-place finish at the WSOP Circuit Regional Championship in Atlantic City in late December, Frankenberger had earned in excess of $1.2 million – and a major Player of the Year award -during his first 12 months as a traveling tournament poker player. No wonder he decided to stick with it. When the 2011 WSOP began, there was little reason for most people there to have ever heard of Russia’ Andrey Pateychuk. 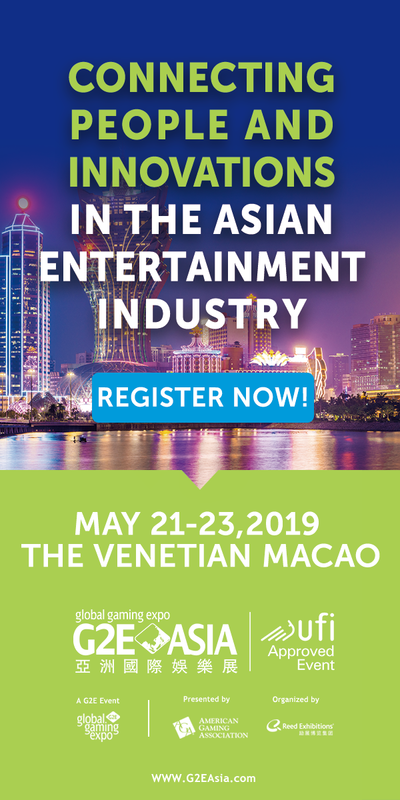 Some of the online contingent might have known he was the player behind the MHE DOEDET screen name that won an FTOPS event on Full Tilt the previous autumn, but to most he was probably just another face in the vast sea of the WSOP. Then came the Main Event. Pateychuk had his share of facetime on ESPN since he started Day 8 fourth in chips among the 24 remaining players. Things went wrong in three big hands against eventual champion Pius Heinz, sending the Russian home in 15th place with $478K – but no November Nine appearance. That didn’t get him down – or if it did, he didn’t show it. Now that he could buy into nearly any tournament he wanted, Pateychuk was ready to make the most of his situation. A trip to Italy in August resulted in $937K and his first EPT title when he bested 837 players in San Remo. After a late October final-table appearance on the Russian Poker Tour, Pateychuk scored again, this time at WPT Prague. His win over a field of 571 there was good for $599K, bringing his total winnings for the year north of $2.08 million. He’s now just one WSOP bracelet shy of the Triple Crown – pretty solid work for the second half of a single year.